Commissioned by Destina for Sweet Charity. A candle in the wind, yeah! I wasn't sure when I saw the song because it's one I've heard so much over the years that it's lost it's meaning but it really does work well with Supernatural and your use of clips and editing was perfect to underline that. 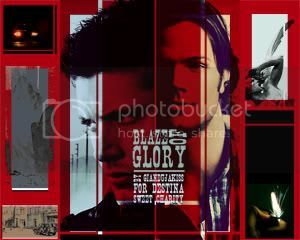 Though with Sam and Dean, they go down in a blaze of glory and then get up and do it all again. Thank you for sharing this. Fantastic video, as every one of your vids!